Huay Yai Manor. A very private 4 bedroom home, set upon a very generous landscaped 2 acre garden. When driving into the estate you pass the large tropical gardens and your very own lake!! Upon reaching the property you are met with an adjoining 4 car garage to safely store all your luxury vehicles. The house consists of 4 bedrooms, a fully equipped (separate) Western kitchen, a large open living room which leads to the covered patio and the massive private swimming pool and Jacuzzi beyond. To the rear of the living room is a day/evening cinema room. This space is carpeted for sound insulation and features a full surround sound system and 150” retractable projector screen. This property has been built to very high standards using modern thermal block bricks, which combined with a double brick cavity wall construction makes this house very energy efficient. Within the grounds there is a private fresh water well which is pumped into 2 reserve water tanks to provide a high pressure throughout the home. All windows and doors are made of top quality uPVC so they are also very tough, durable and safe. Another excellent feature within the house is the intercom entry system. Whenever family or friends visit at the main gates they can simply ‘buzz’ the home for someone to operate the electrically controlled gates. A final obvious feature is the beautiful private swimming pool. At one end the water level is raised into a separated dip pool, allowing it to cascade over an infinity lip into the main pool. At the opposite end stands a waterfall feature which finishes the space nicely. 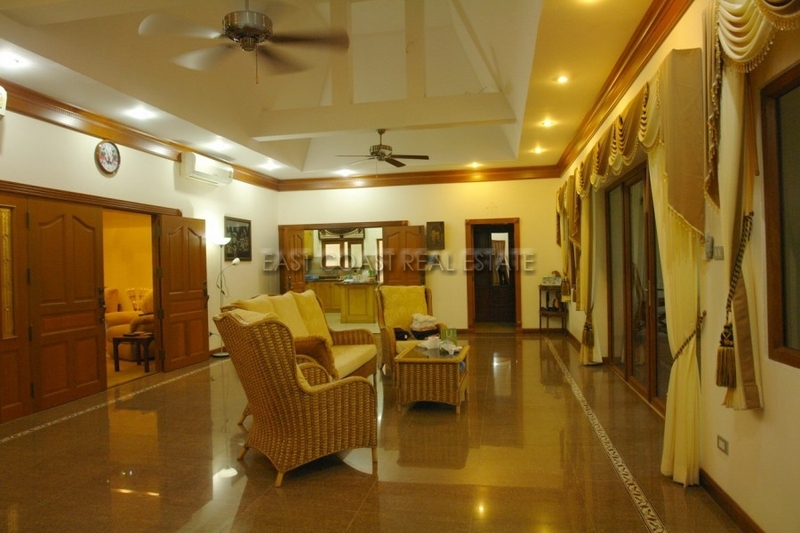 This home is offered for sale fully furnished, and is located in the quiet Huay Yai neighbourhood, approx. 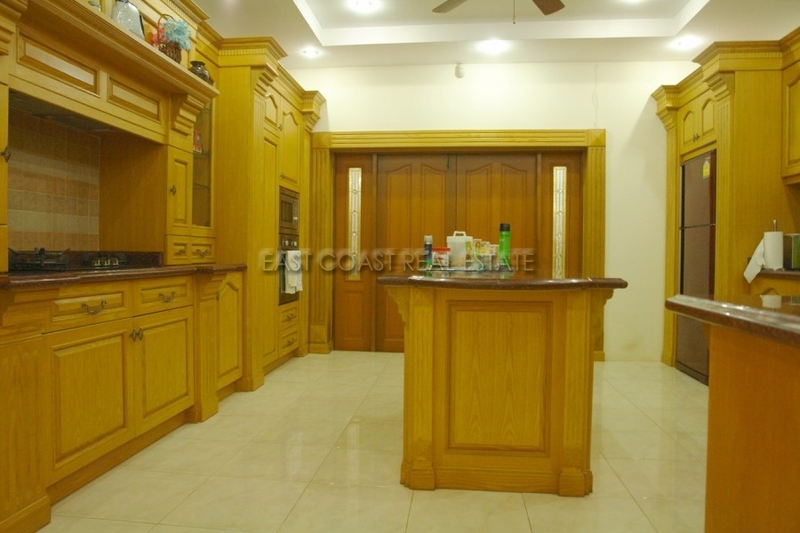 20 minutes from Pattaya City, and Jomtien Beach. International schools, Industrial trading centres, and the Bangkok capital highway routes are within easy reach. Be the first to visit this truly unique family home. This must be seen in depth to be fully appreciated.